"Four Moments Revisited: Kongo in the American Imaginary"
Donald Cosentino is Professor Emeritus of World Arts and Cultures. 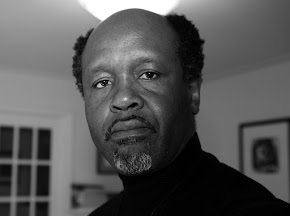 His research interests include Black Atlantic myth, rituals, art and popular cultures. He has done extensive fieldwork on oral traditions in Sierra Leone; on Vodou art and mythology in Haiti; and on the flowering of alternative religions in Los Angeles. He is the author of Defiant Maids and Stubborn Farmers: Tradition and Invention in Mende Story Performance (Cambridge University Press,1982, 2008) and Vodou Things: The Art of Pierrot Barra and Marie Cassaise (University of Mississippi Press, 1998). He was the curator, editor and chief writer for the award winning project, The Sacred Arts of Haitian Vodou (1995-99), and for Divine Revolution: the Art of Edouard Duval-Carrie (2004). As a Guggenheim Fellow (2006), Cosentino completed fieldwork for Chasing the Dead, a book he is writing based on his travels with an Argentine-American magus and his Kongo spirit guide. Cosentino is currently chief curator of "In Extremis: Death and Life in 21st Century Haitian Art," a traveling exhibition, which opened at the UCLA Fowler Museum in Fall 2012 and travelled to La Musee de la Civilisation in Quebec City in 2013-14. He has a Ph.D. in African Languages and Literatures from the University of Wisconsin-Madison. This lecture is part of the "Kongo Arts in Africa and the World" lecture series organized by Chika Okeke-Agulu in conjuction with the exhibition "Kongo Across the Waters" at the Princeton University Art Museum (October 25, 2014 - January 25, 2015). Please contact Rebecca Aguas with any questions.